Provides outpatient counseling and psychiatry services, including group counseling, family therapy, individual counseling. Ages 4-17 years old. Psychiatrists, counselors, case workers, and social workers on staff. Accepts Medicaid and some private insurance. Fees depend on type of insurance. M,F 8am-6pm, T-Th 8am-8pm. Serves youth ages 0-21. YSN addresses mental health and trauma issues by providing counseling, intensive case management, mentoring, tutoring, transportation, and recreation in order to reduce the impact of abuse and life stressors on children and families. YSN also promotes cooperation among social service agencies by providing wrap-around services to children in Winnebago and Boone counties. 24-hour on-call system for emergencies, such as youth who have run away from home, youth who are locked out by their parents, or youth who are homeless. Physical abuse, sexual abuse, domestic violence, truancy, and neglect are the areas of specialty. Licensed social workers, licensed counselors, and licensed marriage&family therapists. No fee to clients. 8am-4:30pm daily, with varied evening hours. Provides family centered counseling services for children and parents, including those involved in the child welfare system and foster care/adoption situations. These counseling services help improve the social and psychological functioning of children and their families and maximize the family well-being and academic achievement of these children. Also provides pregnancy and early parent counseling and support. Other services include adoption and foster care services, early childhood care (MotherHouse Crisis Nursery for ages 0-6) and education, residential services, and youth services. Most services are free to Medicaid-eligible children. M-F 8:45-5. Provides adoption services, foster care crisis intervention and counseling, pregnancy and parenting counseling/support services, and youth programs. The Adoption Preservation Program is open to all families with adopted children under the age of 18 and provides a stipend for hourly or overnight respite care. Parents must identify their own respite provider. 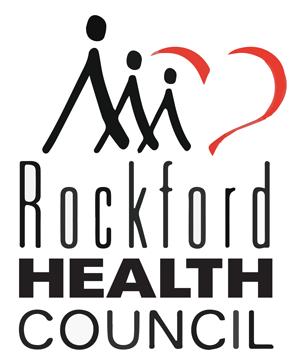 Youth programs include tutoring and mentoring of children in K-8 in the RockfordPublicSchool District. No fees. Hours M-F 8:30-5, others by appointment. Assists persons who have problems with substance abuse or family violence. Remedies Renewing Lives’ domestic violence shelter and services offers counseling for victims of domestic violence and their dependent children. Call 815-962-2102 to initiate services. Substance abuse services include: screening, assessment, treatment, and aftercare for substance abusers both adults and adolescents. Individual, couple, family, and group counseling available. Also offers medical and psychological services; prevention education and training; intervention guidance; on-site urinalysis processing; Alcoholics&Narcotics Anonymous; relapse prevention counseling; and methadone&suboxone treatment. Free or sliding fee schedule services, Medicaid eligible. Nurses, physicians, and certified addictions counselors. M-Th 8am-5pm, F 8am-1pm, other hours by appointment. Juvenile Justice Services – TASC works with youth in the juvenile justice system who may be abusing drugs or alcohol. TASC juvenile justice services are specifically tailored to young people and their unique needs. Family members or guardians are involved to help identify additional services that may be necessary to provide support during the recovery process and to prevent relapse. 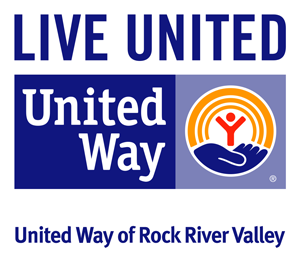 A grass-roots self-help, non-profit organization of the Northern Illinois region. Affiliated with the National Alliance on Mental Illness (NAMI) and NAMI Illinois.’Dedicated to improving the quality of life for persons with severe mental illness and their families through education, support, and advocacy. Membership provides: support and small groups to share ideas and concerns for those whose friends and family members have brain disorders; newletters with important local and national information; and monthly programs featuring mental health related topics. Free education classes include: Family-to-Family; Peer to Peer; In Our Own Voice; and Visions for Tomorrow. Annual Membership: $30 (individual); $40 (all household family members); and $5 open door membership for those whose funds are limited at the present time.